Bord Na Móna Growise Seed & Cutting Compost is not suitable for ericaceous plants such as rhododendrons, azaleas and camellias. For this group of plants you should use Bord Na Móna Ericaceous Compost. Bord Na Móna Seed & Cutting Compost contains all the nutrients your plants need for the first 4-6 weeks. From this time onwards, a liquid feed will help the seedlings and cuttings to continue growing. 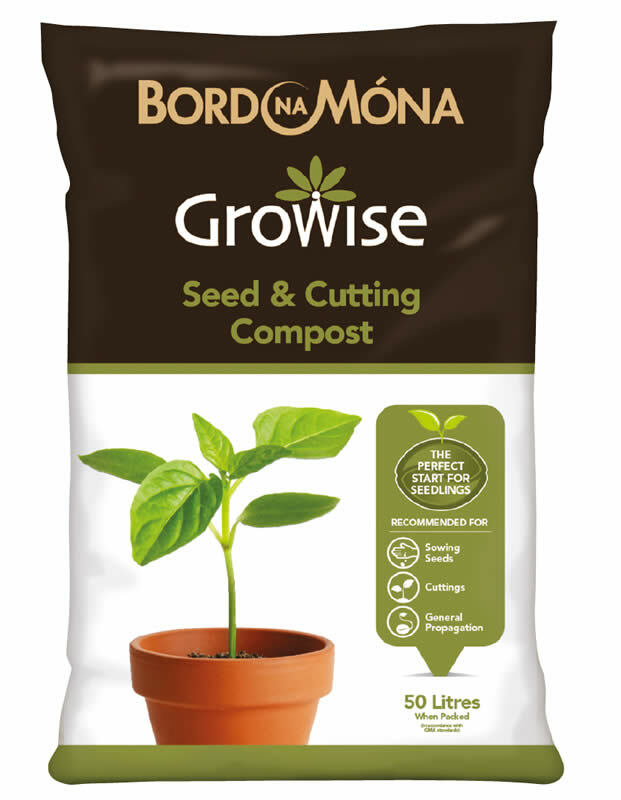 Bord Na Móna Growise Seed & Cutting Compost is ideal for growing most types of young plants, such as seedlings and rooted cuttings, in seed trays and pots. It contains carefully balanced nutrients to encourage strong roots and healthy growth. Seed & Cutting Compost also retains moisture well during dry periods which reduces time spent and frequency of watering. Seed & Cutting Compost is carefully balanced to meet the nutritional needs at this growth stage. Different seeds have different requirements so always follow the instructions on the packet. Fill a clean seed tray or pot with Seed & Cutting Compost and firm it gently. Sow the seeds according to the instructions. Water the Seed & Cutting Compost with a watering can and a fine rose. For specialist seed and cuttings use Bord Na Móna John Innes Seed & Cutting Compost. When the seedlings have at least one pair of leaves, move them to new trays or pots which gives them more space to grow. Fill a clean container with Seed & Cutting Compost, firm it gently, then make a series of holes the width of a pencil and about 2 inches (5cms) apart. Lift each seedling gently by its leaves, place it carfully in one of the holes and firm the compost, making sure you do not damage the seedling. Making sure you do not damange the stem. When you have filled all the holes, water the compost thoroughly with a watering can and a fine rose and leave it to drain. Take care not to over water as leaching can cause loss of nutrients. Place the tray or pot in a light position but away from direct sunlight. Make a clean, angled cut below a leaf then remove the lower leaves from the cutting. Dip the cut end in a rooting powder. Fill a pot with compost, make a hole in it and insert the cutting. 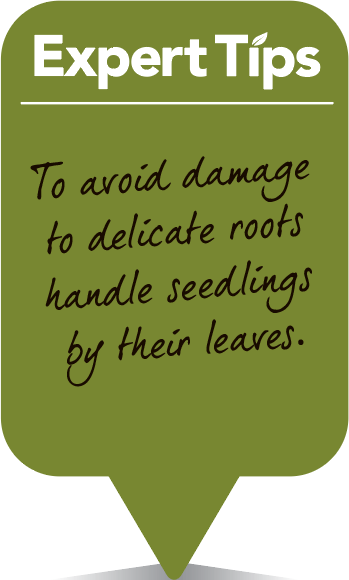 Carefully firm the Seed & Cutting Compost around the cutting with your fingertips. Water gently using a watering can and a fine rose. Cover the cutting and pot with a clear plastic bag to retain the moisture and keep out of direct sun light. Only water when the compost looks dry or if the cuttings start to wilt.